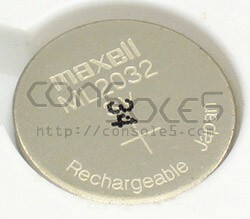 Brand-new, Maxell manufactured ML2032 rechargeable 2032 batteries! Generally, these should not be used to replace save batteries in cartridges due to self-discharge. For save batteries, a standard CR2032 should be used.